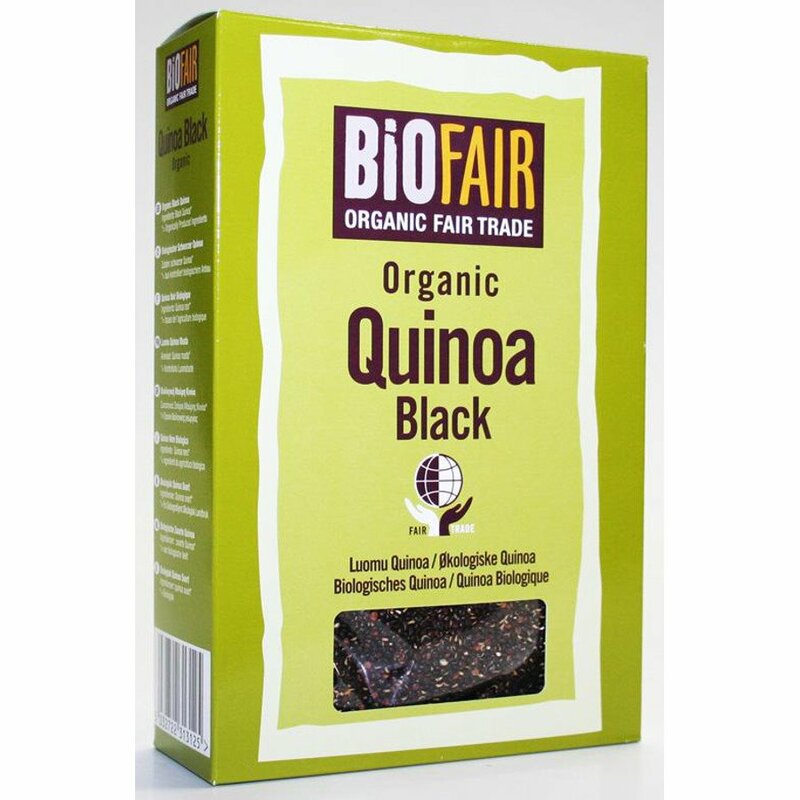 Providing a good source of protein and high in fibre, Biofair Organic Fair Trade Black Quinoa makes a tasty base for salads or as an accompaniment to savoury dishes. Cooking Instructions - Take one part quinoa grain, rinse well and cook with two parts water. Bring to the boil and simmer for approximately 10 minutes with the lid on. Remove from heat and leave covered until all liquid is absorbed. Country of origin: Peru / Ecuador / Bolivia. The Biofair Organic Black Quinoa Grain - Fair Trade - 400g product ethics are indicated below. To learn more about these product ethics and to see related products, follow the links below. 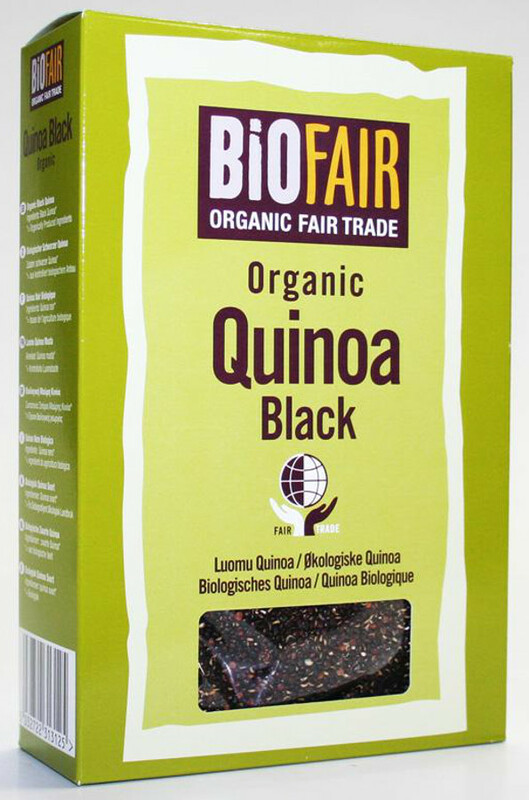 There are currently no questions to display about Biofair Organic Black Quinoa Grain - Fair Trade - 400g.